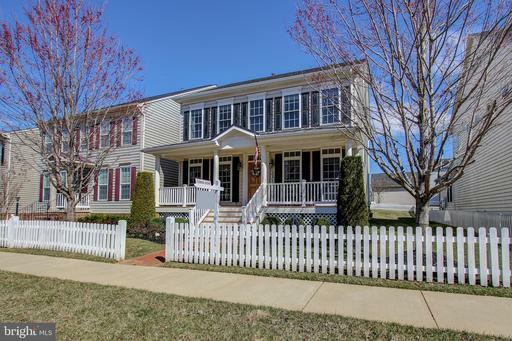 Beautiful Pulte built sun-filled brick front colonial in Summerfield Crossing with all the bells and whistles. 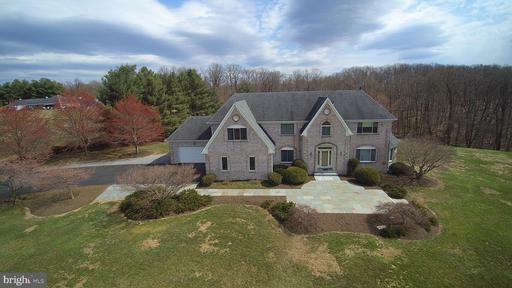 Great floor plan features 1st floor library, 2 story foyer with overlook, a morning room 2 level bumpout plus finished walk out lower level, 5 bedrooms and 4.5 baths. Hardwood floors run through the main level featuring 9 foot ceilings. The foyer and living room/dining room combination features beautiful molding and columns. The dining room and kitchen are adjacent to a large butler pantry with plenty of storage so you can entertain a large crowd. The heart of this home is the gourmet kitchen with a morning room bumpout, large island, separate desk, corian counters, gas cooktop with popup downdraft and double ovens. Step out onto the large deck for added entertaining space. The family room focal point is a gas fireplace with decorative mantel. A large first floor office with French doors and a powder room complete the main level. The upper level with large landing and tray ceiling features an owner suite with a double tray ceiling and columns with a separate sitting area. The luxury owner bath has a separate corner soaking tub and double vanity. A jack and jill bath is shared by two other large bedrooms that feature crown and decorative molding and the fourth upstairs bedroom has a bath ensuite. Closets all have organizer systems. The laundry room is also found on the upper level. The finished walkout lower level has a legal bedroom, full bath, large recreation room and unfinished storage. Other upgrades including designer paint throughout, wood blinds, upgraded lighting fixtures, brand new roof, new refrigerator and new kitchen sink. 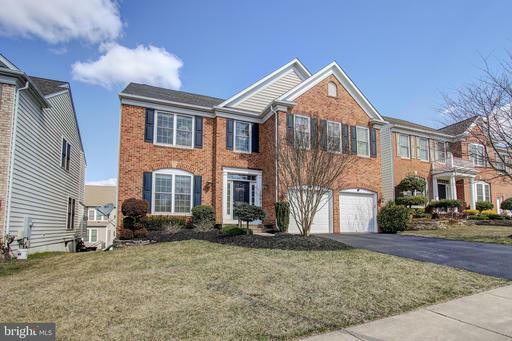 Summerfield Crossing is a lovely enclave of homes close to Route 355, the HOA provides several tot lots and trash removal for a fee of $85 a month. 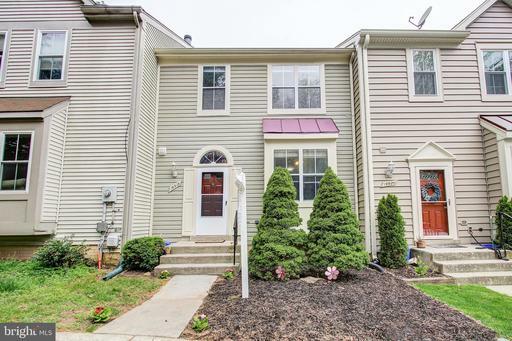 This is a great location to quickly reach shopping at Milestone/Neelsville, the Clarksburg Premium Outlets, commuting routes and recreational areas such as Black Hill Regional Park that features miles of trails, boat rentals and a nature center and Ridge Road Recreational Park with a skate park and picnic pavilions. School assignments are to William Gibbs Elementary, Rocky Hill Middle and Clarksburg High School with the prestigious Advanced Placement Power Scholars Program. 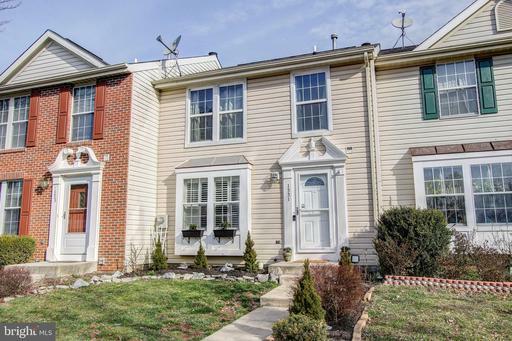 Beautiful move in ready Fredericktowne Village townhouse with 3 bedrooms, 1.5 baths and a finished lower level, this townhome backs to an open area with a playground. Enter into the foyer with wood floors continuing into the large powder room. The large family room features new carpet, paint, and stylish built ins. The gourmet kitchen with hardwood flooring throughout has brand new granite counters, stainless steel appliances, plenty of cabinet space and is open to the spacious dining room. A large slider takes you to the deck with built in seating and step down to a fenced low maintenance backyard with pea gravel and mature trees. The shed gives you plenty of space to store the items you need for outdoor entertaining or gardening. The master bedroom has a vaulted ceiling with large windows and a walk-in closet. The updated bath has a double vanity and a shower/tub combo. The upper level also features a linen closet and two good sized bedrooms with vaulted ceilings. New carpet throughout this level. The lower level has a large recreation room with new luxury vinyl plank flooring, a wood burning fireplace and a large closet and laundry area with storage. This neighborhood has an excellent location, less than ten minutes from downtown Frederick with a plethora of restaurants, unique shopping, theater and arts venues plus great events and festivals. Other great shopping is within ten minutes away including Costco. 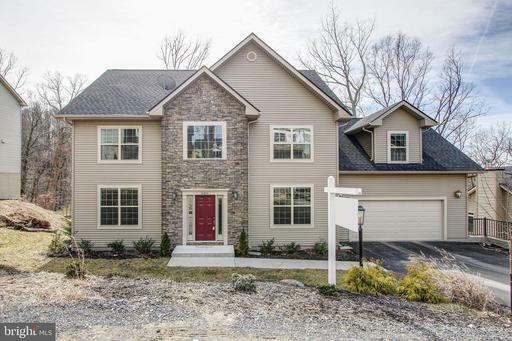 Walk to Riverwalk and Monocacy Village Parks and play baseball, basketball, picnic in a pavilion, use the playground, tennis courts, volleyball area and walking and biking paths.